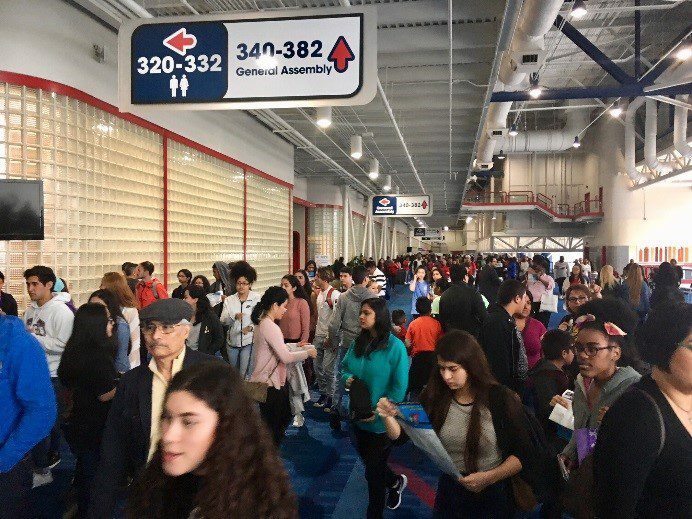 ACT’s Center for Equity in Learning participated in the 32nd Career and Education Day in Houston, presented by the Houston Hispanic Forum. Maria Vasquez and I had the opportunity to meet 15,000 Hispanic students and families and talk about ACT and our work. According to the U.S. Census, as of July 2016, the Texas population nearly reached 27.9 million — up from 25.1 million in 2010. More than 1.4 million of that 2.7 million increase was among Hispanic Texans. Events like these continue to provide information needed for students and their families as they make their plans for life after high school. 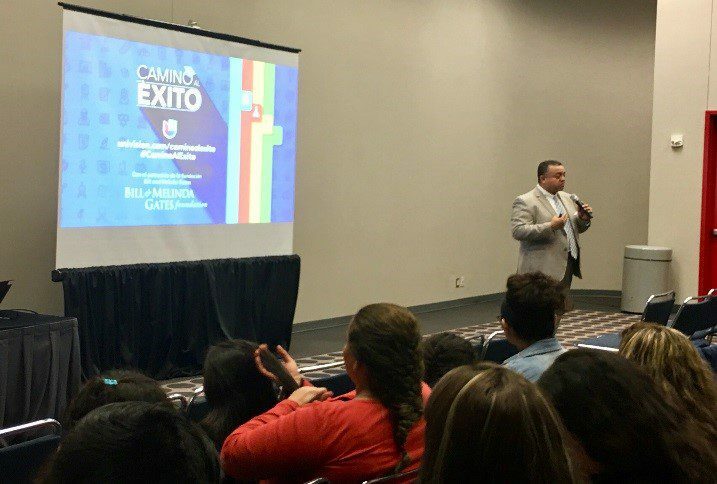 Alongside our partner, Univision, we hosted both an exhibit booth and four breakout sessions for the impressive crowd..
Our sessions included information on college planning, financial aid and the ACT test. Following the sessions, we connected with the parents and students, spending time answering their specific questions which included scholarship searches, college visits, DACA, and how to pay and apply for fee waivers for the ACT. 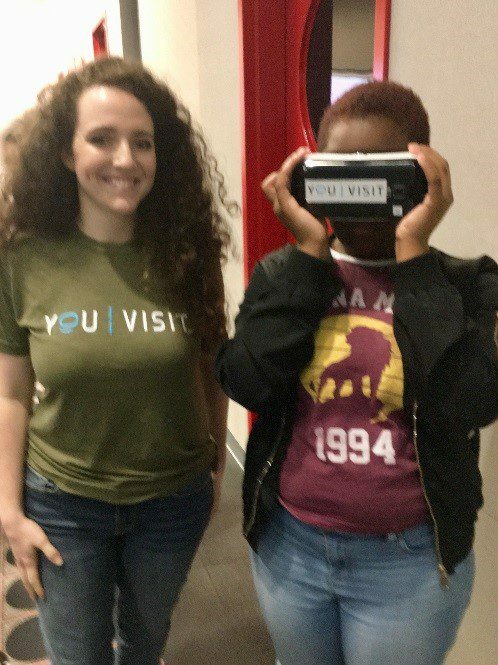 This year, we also partnered with YouVisit Foundation, a newly created nonprofit which offers college tours via virtual reality technology, for one of our sessions. 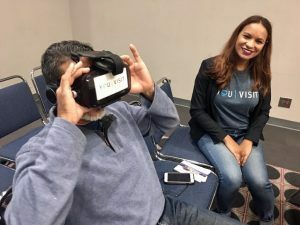 They took the audience on two virtual tours to discover college campuses, motivating students to apply to colleges that may be outside their home town, but could be a great fit for them. One of the students commented: “I can really see myself at Harvard, I am a sophomore, but if I push myself, I could do it.” YouVisit provides more than 600 college tours at no cost to students, parents or schools. Parents were so excited to ‘see’ what a college campus looks like. One father of a junior in high school said, “Wow, I have never been to college or visited a college, but would like my daughter to go. Now that I see it, it looks very expensive, but I want my daughter to experience and learn what I could not back in El Salvador.” Thanks to the Forum, and our work with our incredible partners, the impossible can become a reality for these families!